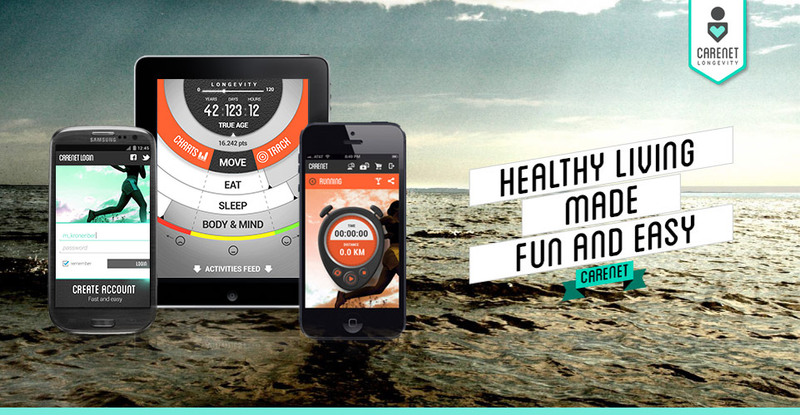 Carenet is pioneering the longevity market with a unique lifestyle app that will change the way people in Brazil monitor, understand and share their personal health & wellness data. The app syncs your body sensors, displays your data, and ultimately allows you to live a healthier and longer life through small actions and behavioral changes. 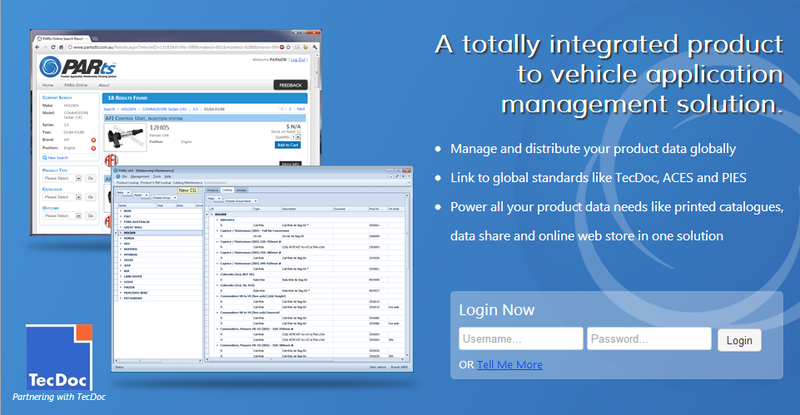 PARts is a complete product to vehicle application data management solution for manufacturers, wholesalers and dealers. Built for replacement, performance and accessory parts manufacturers, wholesalers and dealers with rich content. Well suited for retail and workshop performance, 4x4 and accessory markets. 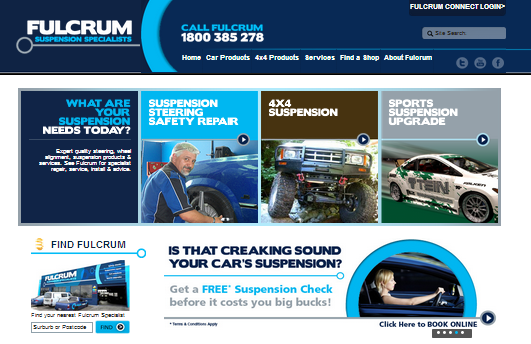 Founded in 1976 by Graham Scudamore-Smith, Fulcrum has grown from its humble beginnings as a wheel alignment workshop in the Brisbane suburb of Moorooka to a global organisation that offers a diverse range of suspension solutions for almost any vehicle. Today Fulcrum employs over 100 people across 8 locations including an in-house R&D department, distribution warehouse, and SuperPro production facility. Fulcrum's presence now extends over 6 Service Centres throughout Queensland and a distribution centre in Preston, Melbourne. The VEO App has been developed as a complete tool-kit for doing visible emission readings and meets all the requirements of 40 CFR 60 Appendix A Reference Method 9. Among other item the method requires that the estimated distance to the emission location, wind speed and direction be estimated. It is also necessary, though not specifically required that the height of the stack and slant angle at which the observations are made be determined, along with verification that the sun is in the 140 degree sector behind the observer. MyProp is an unique online software program that keeps all your rental investment property details in one place. It allows you to set budgets, track your goals and do more with your valuable property portfolio. MyProp makes your life easier by collecting accurate information for the property and portfolio that can be shared online with your tax account and mortgage broker, so you all can get the entire picture. Use the Myprop mobile app to stay in touch as you go. RCN is a Construction ERP system for BGC group which is one of the largest Real State Developers in Austraila. BGC is a Western Australia based group of companies with interests in residential & commercial building, building & construction products manufacture, contract mining civil engineering construction & maintenance, quarrying, road transport, property ownership & management insurance. BGC has steadily broadened its product range, enhanced its supply capability and outgrown the Western Australian market. The Group has operations in each of Australia's mainland states and its international reach extends to a distribution network in East Asia and New Zealand. For businesses, OptTown is both state-of-the-art direct marketing sent directly to the customers’ smartphone, and a Customer Relationship Management (CRM) solution. OptTown uses social media, focuses on a local market, and connects to mobile consumers (known as “So-Lo-Mo”). OptTown provides businesses self-sufficiency through easy-to-use yet powerful, browser-based marketing tools. With OptTown, businesses can improve customer retention, customer spend, customer profit mix, and new customer acquisition.Simply put, with OptTown the business makes more profits. Notice of Filing of a Labor Condition Application with the Employment Training Administration, Department of Labor. "They have an excellent customer service and their programming has been fantastic, rates are extremely competitive and the quality is amazing. We highly recommend Zen Software to anyone."